Description: Sitting on the remnants of a building painted by 2Alas, Dudali reflects on the destruction of a work of art. Dimensions: High 44" x Wide 38" x Long 83"
Description: Dudali leaps through the city. 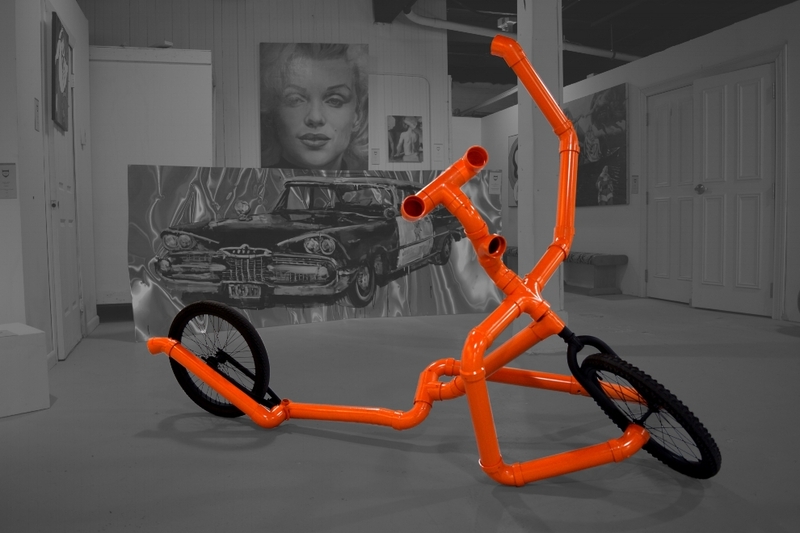 A functional scooter-bicycle often ridden by the artist.